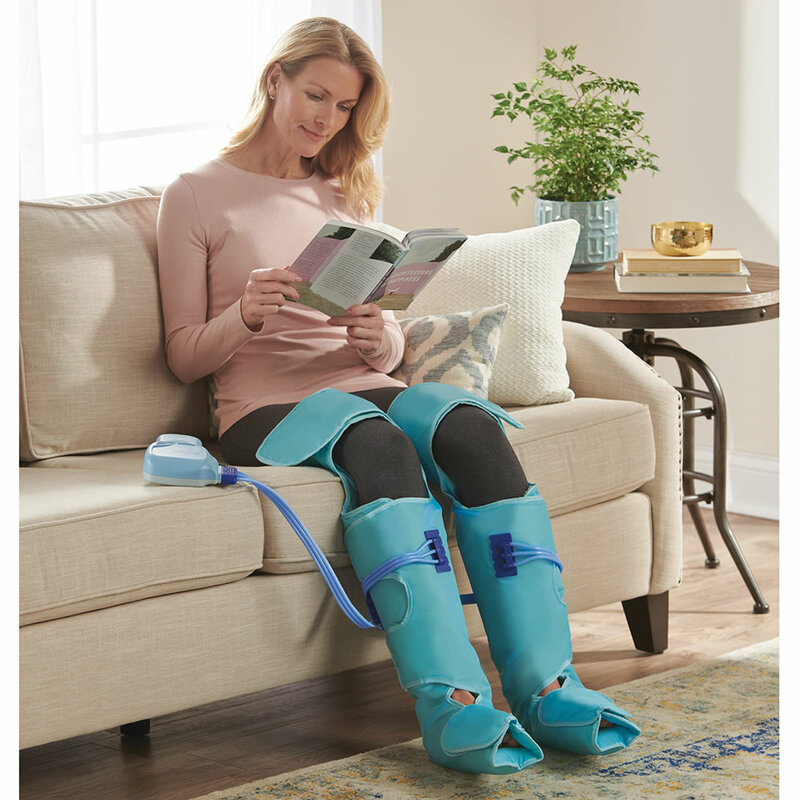 Available only from Hammacher Schlemmer, these air compression leg wraps inflate and deflate to improve circulation, soothe sore muscles, and reduce swelling in the legs. They have six airbags that wrap around the entire leg and inflate and deflate to help blood vessels expand and contract. Similar to hospital compression boots, the leg compression wraps use compression intervals to stimulate circulation in the thighs, hamstrings, calves, and feet and help facilitate blood flow back to the heart. The wraps are also useful for recovery after running or exercise. 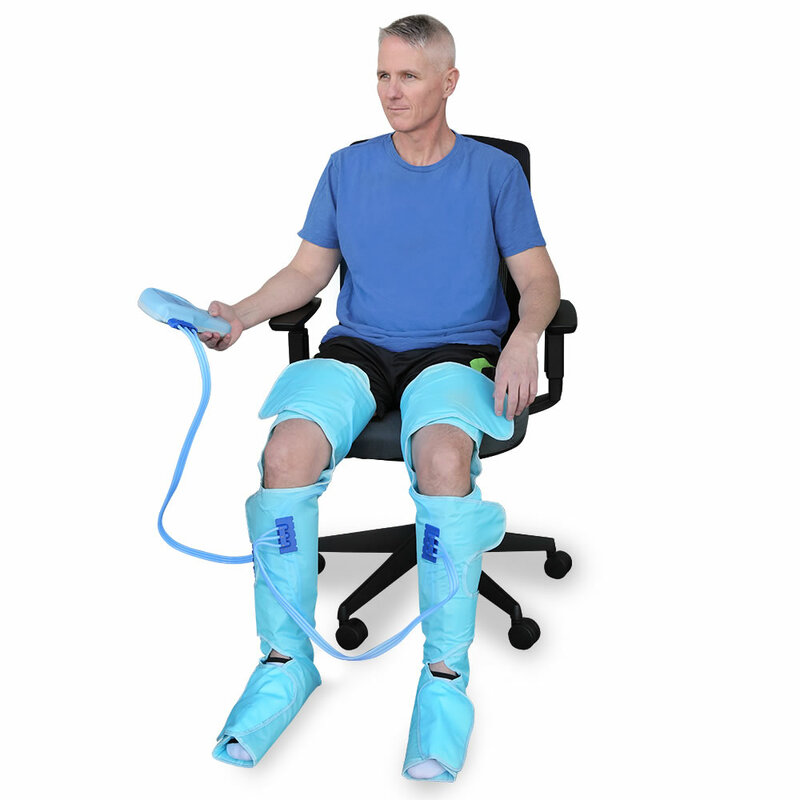 The corded remote for the air compression leg wraps allows you to select from three intensity levels and seven programs. 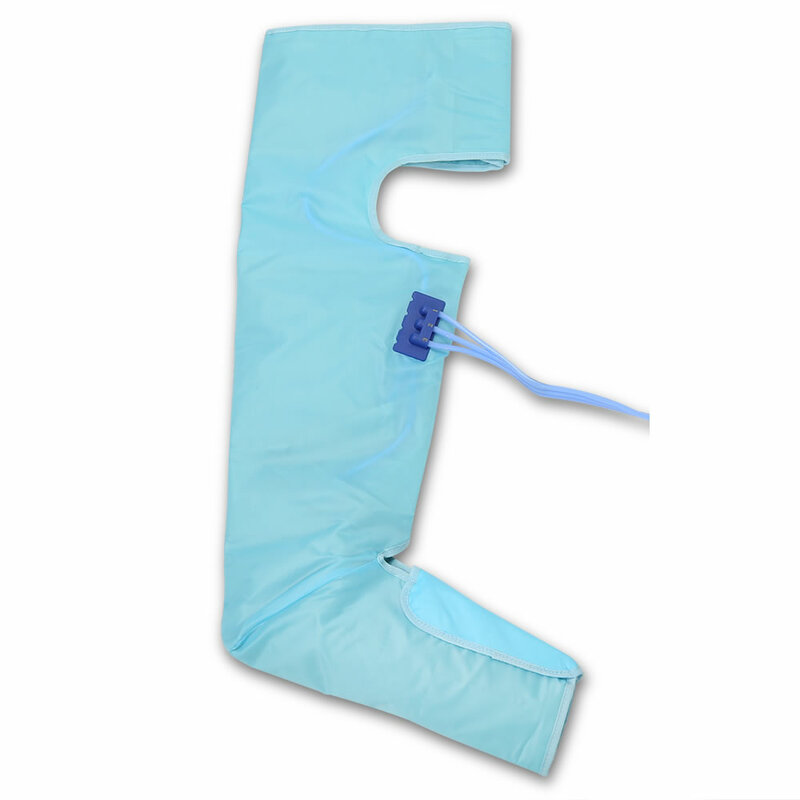 Adjustable hook-and-loop closures fit calves 16"-18", thighs 23"-25", feet 6-11 3/4" long. Plugs into AC. Set of two wraps. Each 33 1/2" H x 30 1/4" W x 3/4" D.
Please note: Foot measurement is middle of foot circumference. 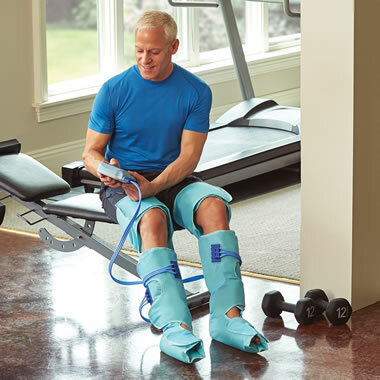 The Circulation Improving Leg Wraps come with The Hammacher Schlemmer Lifetime Guarantee. Items that we sell are guaranteed for their normal life under standard non-commercial use.